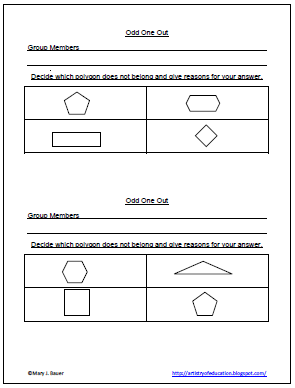 Odd One Out with Polygons is a small group activity where students use mathematical reasons to defend their answer. 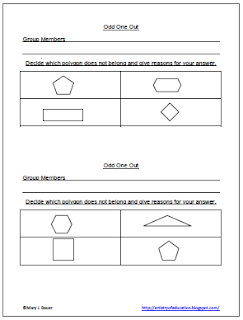 I give each group of students a half-sheet with four polygons. Students decide which one of the set does not belong and explains why. I have each group record on the notebook paper and either share in class discussion or turn in. 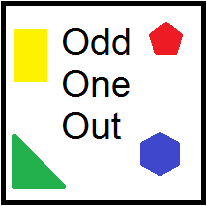 Odd One Out with Polygons has two activities and can be downloaded from this post at Artistry of Education.